This weekend was the 2014 Soul Train Centric Awards Weekend at the Orleans Arena Stage in Las Vegas, Nevada. We spotted several Bellyitch Bumpwatch alums at various pre, show and post-show events. Tamar Braxton Herbert stopped by the pre-event gifting suite and graced the style stage and sang her hit song. She had various outfit changes through the night. 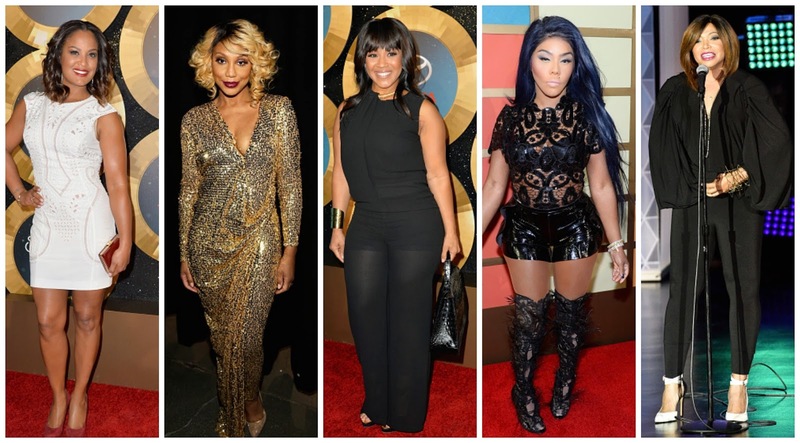 New mom Lil Kim walked the red carpet and rocked the stage. Erica Campbell of Mary Mary looked fab on the red carpet as did actress, ex-boxer Laila Ali. Yesterday, November 8th Tisha Campbell-Martin accepted an award during the Centric Comedy event which also featured Bellyitch 2nd time dad-to-be Donald Faison. The show was pre-taped and will air on Centric on November 30, 2014. Check out some of the pics from the weekend. Bonus. Not a bumpwatch alum but an international soca star from my husband's native Trinidad and Tobago, Machel Montano, won for Best International Performance.